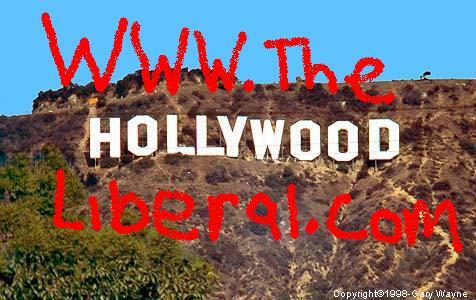 The State of Politics, Blogging, and Liberalism in Hollywood. By H.L. It's been 9 months since I started this Liberal Political Website. I toil away here in Hollywood, every day, bringing you stories, that I find on the web, or occasionally write myself. I post some of the most interesting stories involving Politics, humor of a political nature, or other liberal stories, on the Blog. One of the things I like about the blog is that it is interactive, people can leave their own direct feedback to the stories. Since I have gotten started, The war is still going strong. U.S. soldiers are still dying in Iraq, on almost a daily basis. The Bush Administration still only care about profits from oil, and stealing as much money as they can get their hands on. Every decision that comes out of the White House is Political, or monetary. (for them, against us.) The bottom 95% of the country are getting screwed royally by this gang of hacks in Washington. The Politicians often ask the question, "Are you better off now then you were four years ago?" 4 years ago, I had a steady job in the most popular industry in Hollywood, which is of course the entertainment business. I was making good money, had steady hours, overtime was available, I had health and dental benefits, and paid holidays, sick time, and vacation. Now all that is gone. I am a freelancer, waiting for them to call me so I can go in and make a few hours of pay. I still work in Hollywood, but gone are all the perks. I even had to go buy a laptop, just to get the chance to work at one place. 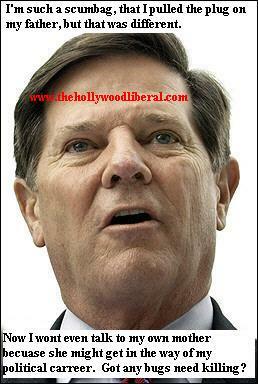 Like many other Americans I am an accident, or illness away from bankruptcy, and unemployment.. Meanwhile the politicians, both Democrat, and Republican continue to ignore the people, and instead pour our hard earned tax dollars into war. The current debacle in Iraq, has already cost us around 160 Billion Dollars. Of course the media never bothers to inform the public, about the truth of what's really going on. Liberal's, and progressives are getting tired of the media generated circus that comes out of the TV each night, in the form of the so called news, to the point where they just want to ignore the whole scene entirely. Better to put on some good music, or read a book, then to hear the media blather on about how great everything is in Iraq, and about how war is so great. We still have 3 � years until the next Presidential election, and that won't even matter if the politicians don't start doing something about making voting fair in this nation once again. Now is the time to fight back even harder. We also must not lose our sense of humor. Bush's numbers have been slipping and many of the political figures in his own party, are beginning to get as tired of him as the liberals have been for the last 5 years. I will continue blogging for freedom, here in Hollywood. Fighting against the war, fighting to get the soldiers out of Iraq as soon as possible. Bringing you the stories that the mainstream media likes to ignore because it is not in their interest to bring you the truth. Thank you for being a part of the experience. H.L. Ok I couldnt resist one Shaviao Story. Its the Politics of Journalism. Video of John Bolton, Freaking Out in Front of The U.N.
Is America the SS Titanic?